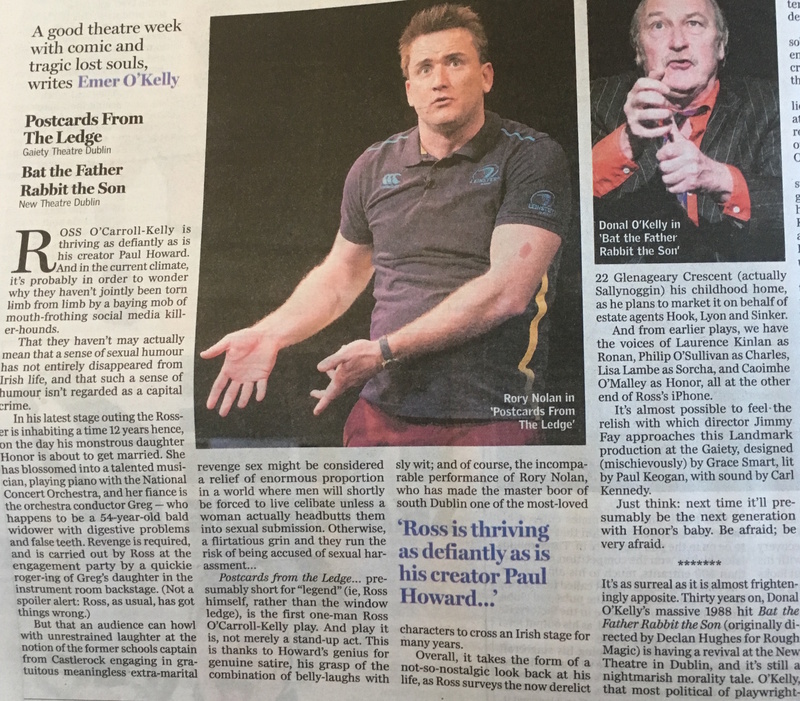 ‘a joy … Paul Howard is a brilliant comic writer’. Read full review here. ‘Nolan is simply terrific… tremendously, gloriously funny’. Read full review here. 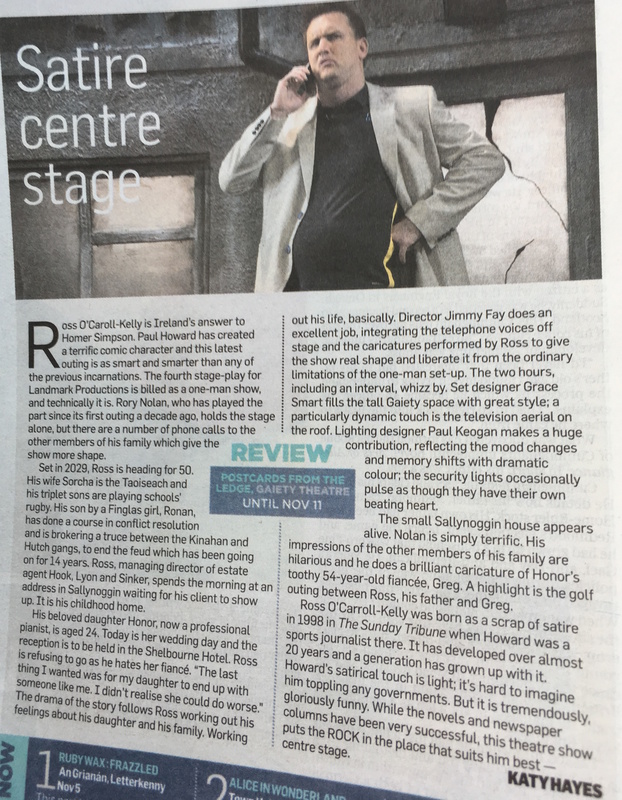 ‘Director Jimmy Fay does an excellent job… set designer Grace Smart fills the tall Gaiety space with great style… lighting designer Paul Keogan makes a huge contribution’. ‘laugh out loud, hilarious good fun’. Read full review here. 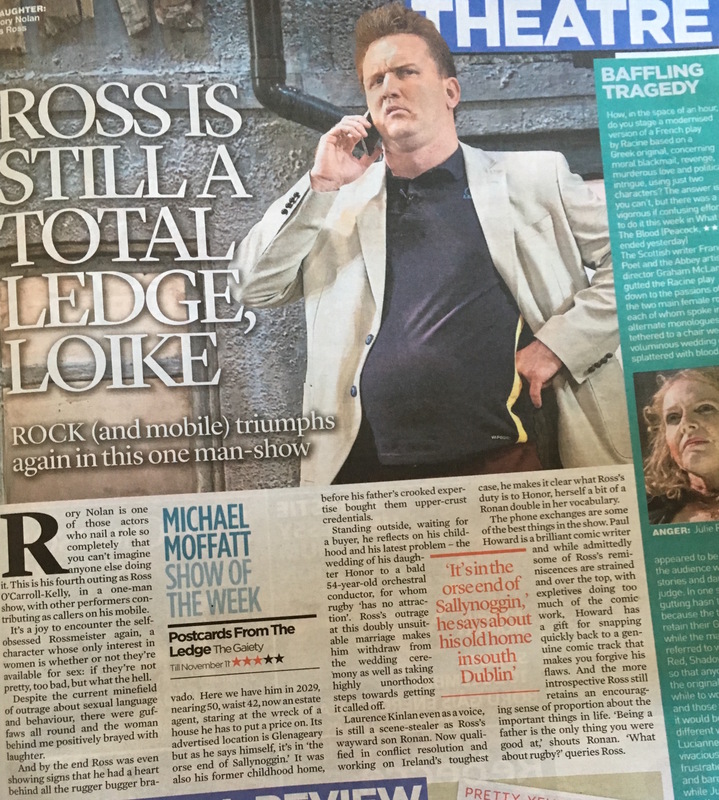 ‘Timing and delivery are perfect and the standing ovation he received was richly deserved… Rory Nolan’s performance is outstanding’. Read full review here.